THE ONE you've been waiting for! Reedy Fork townhomes are rarely on the market and this one is absolutely immaculate. 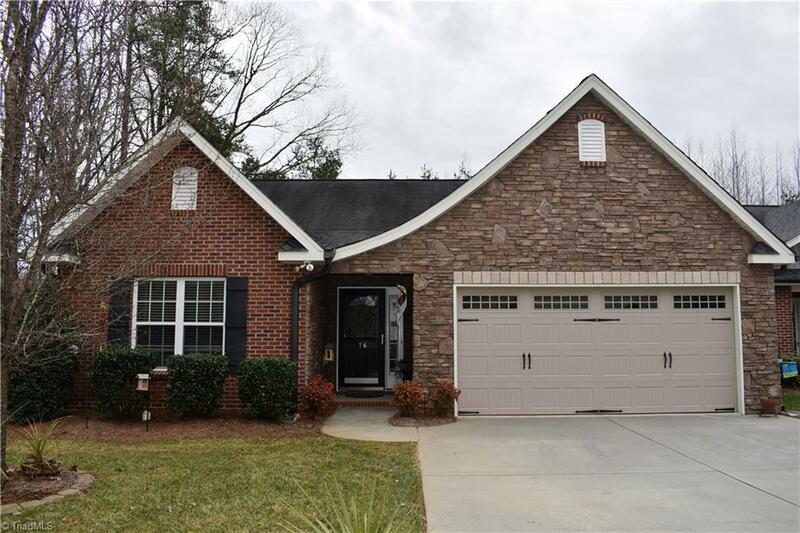 Gorgeous Craftsman-style stone & brick front, vaulted living room ceiling, gas log fireplace, spacious kitchen w/elegant tile backsplash and new dishwasher, breakfast nook, pantry and laundry. The master suite boasts of dual sinks, walk-in closet and linen closet. Expanded patio with beautiful brick pavers. Private lot w/additional parking. Community pool, tennis, playgrounds and trails.